It’s that time of the year again. That’s right, it’s officially engagement season. (Yes, it’s a real thing!) Basically from now until Valentine’s Day, this is the time of year when most guys get down on one knee. So whether you’re expecting a proposal or you’re already engaged, it’s time to start planning…and what could be a more romantic setting for tying the knot than a coastal wedding? Avoid the stress (and cost!) of inviting relatives you haven’t seen since you were in diapers (we’re looking at you, Great Aunt Bertha). Instead, skip town and say “I do” on Florida’s Space Coast. 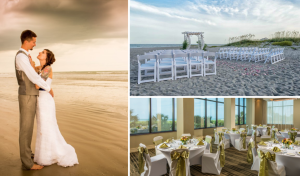 Whether you’re planning an intimate ceremony or a big bash, there are dozens of beautiful beachfront hotels that offer breathtaking views. Plus, many also offer custom wedding packages — complete with a wedding planner. Stress-free wedding by the beach? Yes, please! Planning a wedding can be can be a pretty intense experience. So why not skip it altogether? 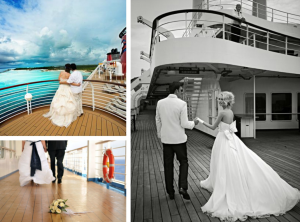 Many cruise lines out of Port Canaveral offer wedding services, which means you can say your vows in an intimate ceremony and skip the formal dinner reception. Typically, clergy and guests come aboard for the ceremony and after-party, then debark before the ship sails. And the best part about a cruise ship wedding? Your honeymoon begins immediately after you’ve exchanged vows. Not to mention every anniversary will be the perfect excuse to take another cruise! There are plenty of fun, unique venues on Florida’s Space Coast, but what could beat saying “I do” at the zoo? 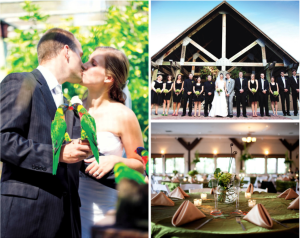 The Brevard Zoo’s Nyami Nyami River Lodge, which exudes natural, rustic charm, offers an escape from the typical wedding venue. The covered veranda overlooking the savanna can serve as the perfect backdrop for your ceremony and reception. Plus, the air-conditioned venue can seat up to 200 guests, AND offers private access to the zoo. With this option, your wedding will be one your guests won’t soon forget! 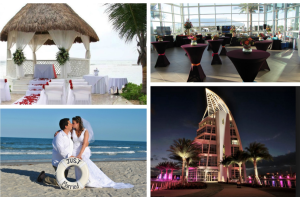 Check out our wedding section for more information about tying the knot on Florida’s Space Coast.